Have any of you seen the 2007 movie? I liked it for the most part, and I thought the Murasames were great in it, but I wish Tatsu got to be a part of it and that the story was a little more organized. It was really good seeing Ryu get more screentime, too, and especially with the plane scene. I actually first found out about the movie when I was searching online for Tetsujin, and I came across your "Eighteen Serious Questions" page for the movie. That's also how I found out about the "Kenji 5 Greatest", "Gigantor Comic reveiws", "GR Eighteen Serious Questions", etc. 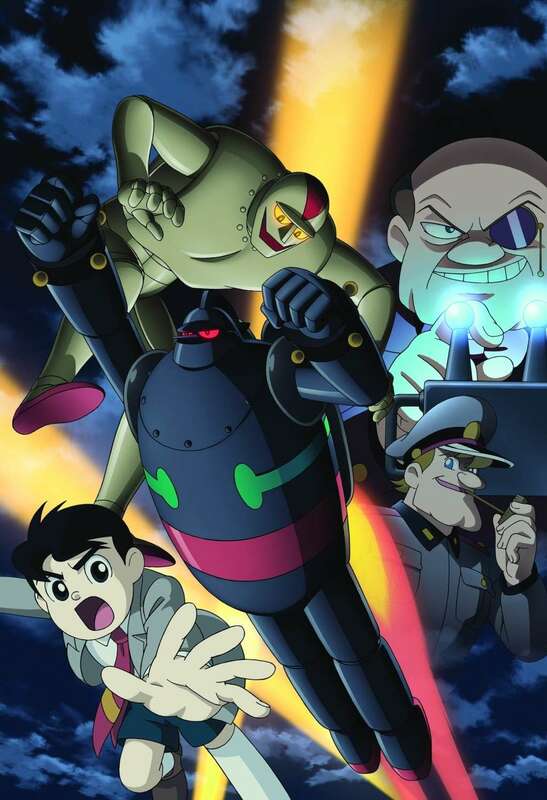 The movie was still enjoyable because of the fact it had a happy ending, so I didn't hate the Tetsujin series with the suprise ending. Anyway, do you have the subtitled version of the movie? I'm trying to convert it to .MOV or maybe even to 3D, but I accidentally deleted it once, and when I re-downloaded it, the file had a few small glitches; it wouldn't let me convert it. Even having the Subtitles track could help me out, because I do have the version without the subs. I think it would be so fun to dub it! Too bad it wasn't already dubbed. And yeah, a dub would be fun! We'd need a lot of male actors, but I know I could pull of a good Shotaro and Takamizawa...I might be too young to be Ms. Kayano. Here is a dubbing Test of the movie a while ago. It's just a few scenes, but I hope you enjoy! You know how I said earlier that the music sounded like GR? Well, I just found out that the music was not made specifically for the movie! It's actually music taken from different places and put in the movie. None of the music (besides the tetsujin 28 theme and susume theme, which were also used in the TV show) was actually made for the movie. Here is a video I found that has a lot of the major songs that were in the movie. There is an arts school with an anime club near my house, and I asked a few people in the club if they would like to Dub the Tetsujin 28 movie. I have gotten 3 people to agree . I am going to ask the drama/theatre class if they want to be a part of it too. Now that I can get actors, I have the music, and I can cut and paste sound effects from the TV show, I was wondering if you still want to dub it? I'd love to be a part of it! I probably can be Ms. Kayano too, and can also help with any script rewrites, since sometimes the translations might not fit the mouth movements. I might be busy sometimes because I'm halfway through term one of university. This is my first group dubbing project, so I'd be happy to help with anything! Like I mentioned before, maybe we could all meet up on Skype or Ventrilo and figure out who should play who from there. Subject: Re: Have any of you seen the 2007 movie?